Columbia Global Library Services: Welcome! Members of the Columbia community traveling abroad have access to an extensive range of online full-text collections including books, journals, audio, video and images, and a variety of library services. No matter where you are in the world, all you need is your UNI and password to connect! 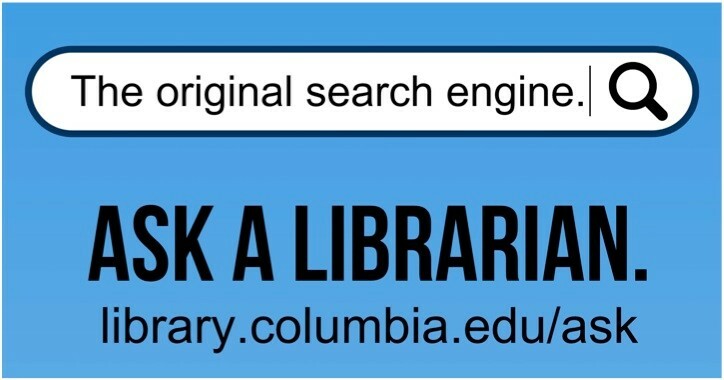 This guide will provide an overview of the resources and tools at your disposal to ensure that you remain connected to the Columbia libraries wherever you are in the world. CLIO is always the place to start your research. Subject specialists are still available to answer research questions. Research guides are a great place to start if you need an overview of the research landscape in a particular discipline.